Using three USB ports, the Basecamp charging station charges your Apple Watch, iPhone and iPad at the same time, and integrated LED night light lets you access it with ease in the dark. 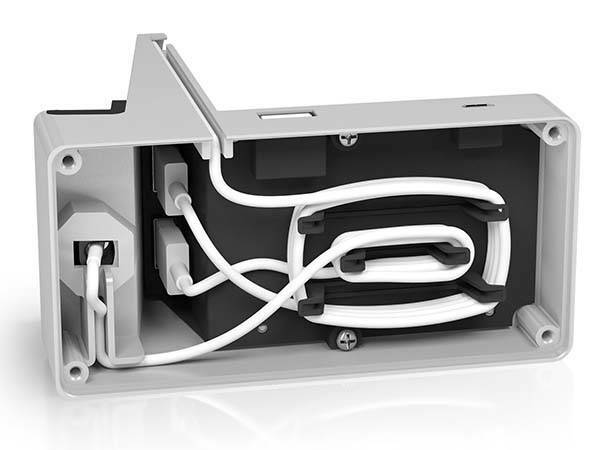 The Basecamp is a versatile and well-designed charging station that measures 4-7/8 x 4-7/8 x 2-1/4 inches. As shown in the images, the docking station shows off a minimal, robust and compact design, and it’s made of electroplated zinc alloy, which not only delivers an extra strong construction, but also adds stylish and premium feeling with its gorgeous metallic luster. 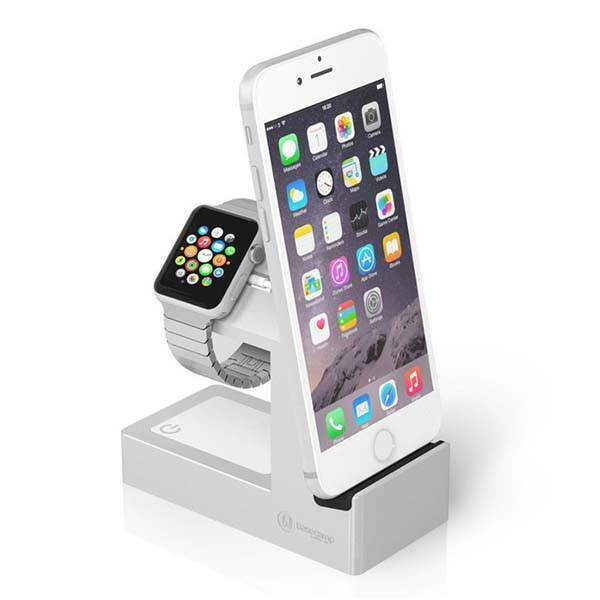 The charging station features an Apple Watch stand that supports official Apple Watch magnetic charger, and integrated iPhone dock works with Lightning cable in order to charge your Apple Watch and iPhone at the same time, and two built-in USB ports and cable management keep your cables hidden in the metal body, providing you a neat and ordered way to charge your devices. 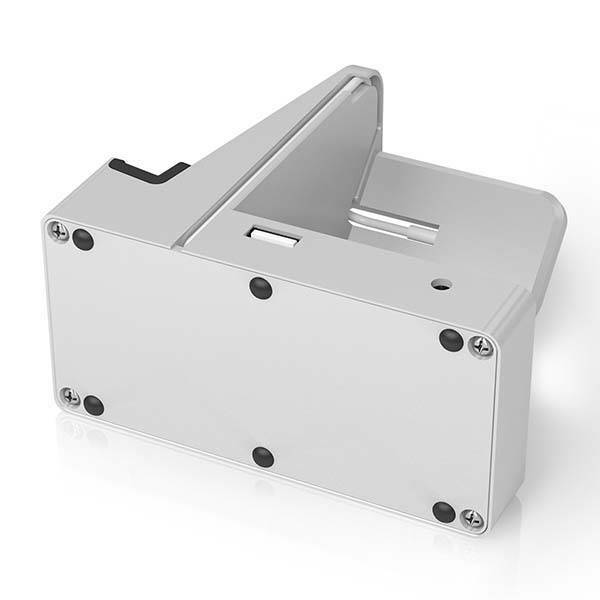 Moreover, there is an extra USB port on the back of the dock, which allows to charge your other mobile devices such as a tablet, GoPro action camera and more. 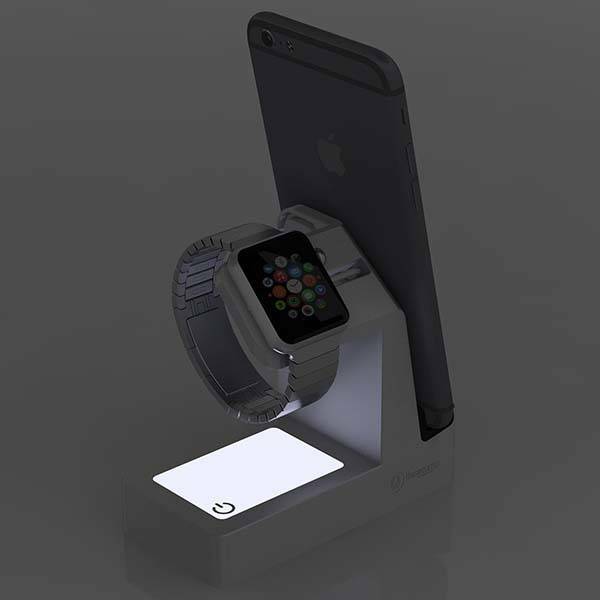 In addition, a built-in LED night light under the cradle for Apple Watch, so you can conveniently access to all the functions of the dock in the dark. The Basecamp charging station is priced at $69 USD. If you’re interested, jump to Company 19 for its more details. BTW, also don’t miss and more related cool stuff by following tags.